We’re continuing to post new work, so here are more of the projects we’re bringing out from behind the curtain. 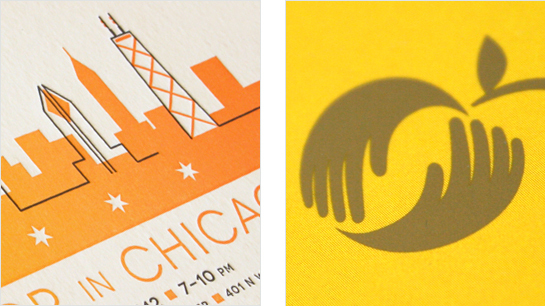 These are event and invitation design work for fine paper maker Gruppo Cordenons, as well as a direct mail campaign for local Chicago nonprofit, Golden Apple Foundation. Click for more details on the fruits of these great client partnerships.